We know we are lucky, not the least because our friends our travelers too. This gives us great insight on what to see when visiting different places that they have visited, lived in or live nearby. 1) So far, our best evening was spent with Monica Earl. Nothing one can see in London, is as great as seeing a good friend from home. It was great to hear about the work she is doing and life in London. 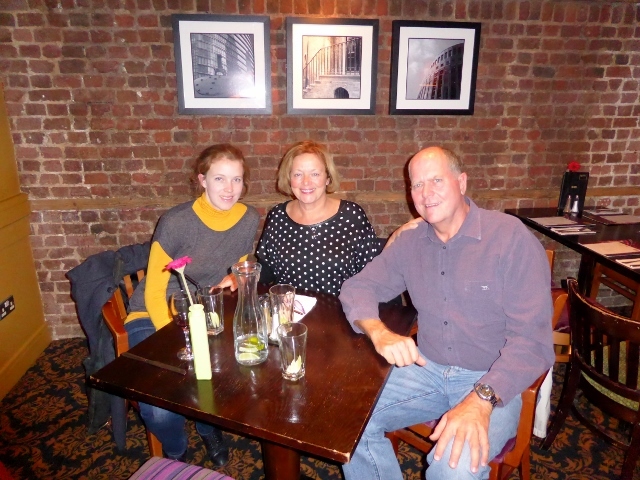 We had a quiet evening with a quick stroll around Canary Wharf, we saw the Temple Lounge, in West India Quay. This is a Sheesha Garden, where people meet to smoke exotic scented tobaccos with water pipes and have drinks and socialize. We decided not to eat there but go to a nearby café. We wouldn’t have even understood what a Sheesha Garden was except for Monica’s insider knowledge. 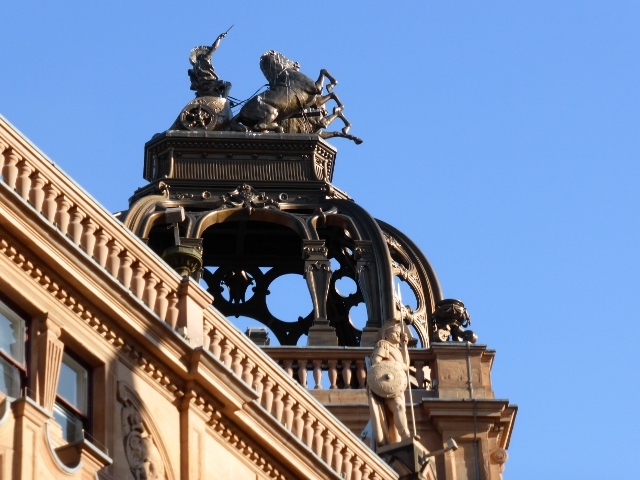 5) Shopping – enough said. 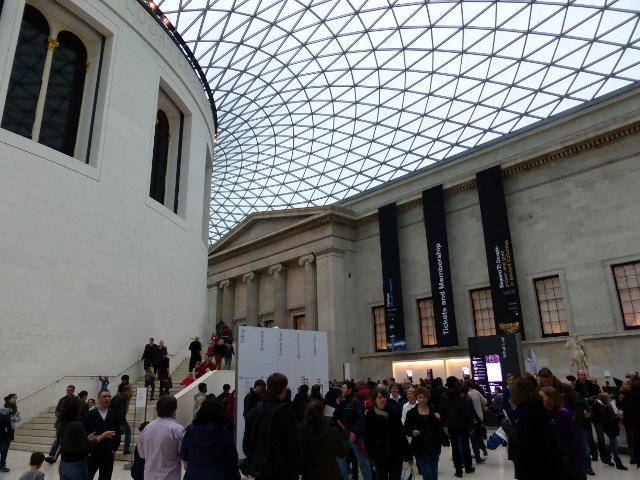 Love the British museum photo – hasn’t lost it’s charm – what was Frank Sinatra singing about? Pleny of charm and visual style. So many people on a very rainy Saturday.